Sunday – Anthony left early this morning, sadly. It was a really great week in London, but per usual went by way too fast. My group met for the final time at noon to discuss our last presentation on the Russian Art Market and a piece of work by Pavel Pepperstein. I’m a big fan of his name! I am going to be so happy when the group projects are over, though it has been nice getting to know a few people in my class that I wouldn’t have otherwise. 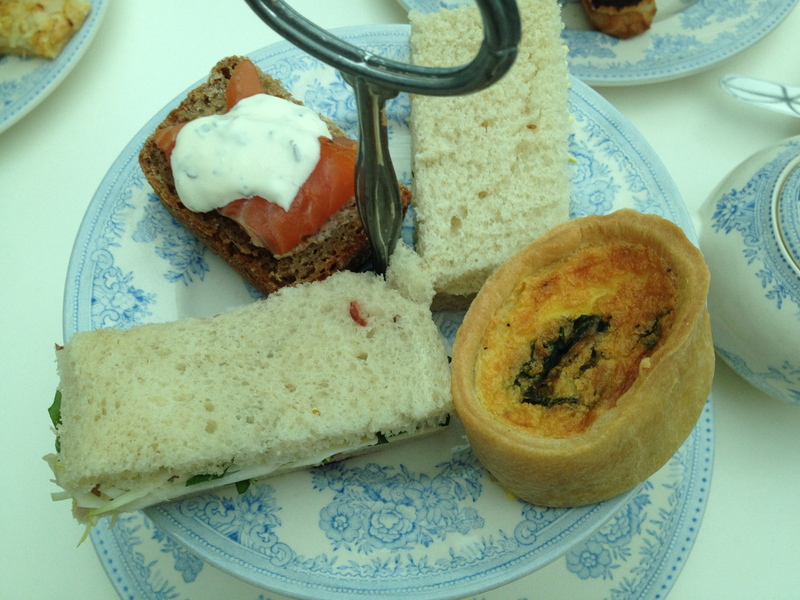 This afternoon I went to high tea at the British Museum! My friend Kate, who is a fellow Georgetown classmate and lives across the hall from me organized it. Most of the Georgetown girls joined, so that was nice to be able to chat with everyone. 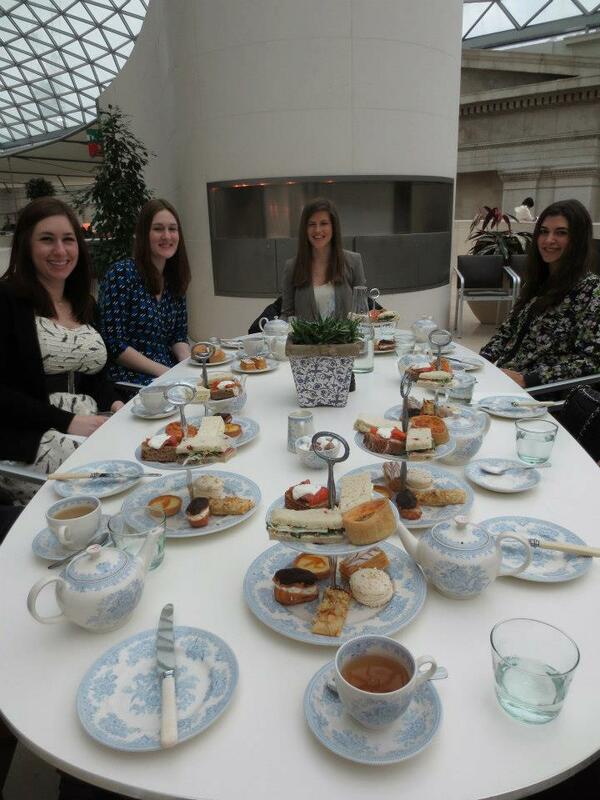 There were different menu options, but I decided to go all out and go for the whole Afternoon Tea (as did the majority of our group). 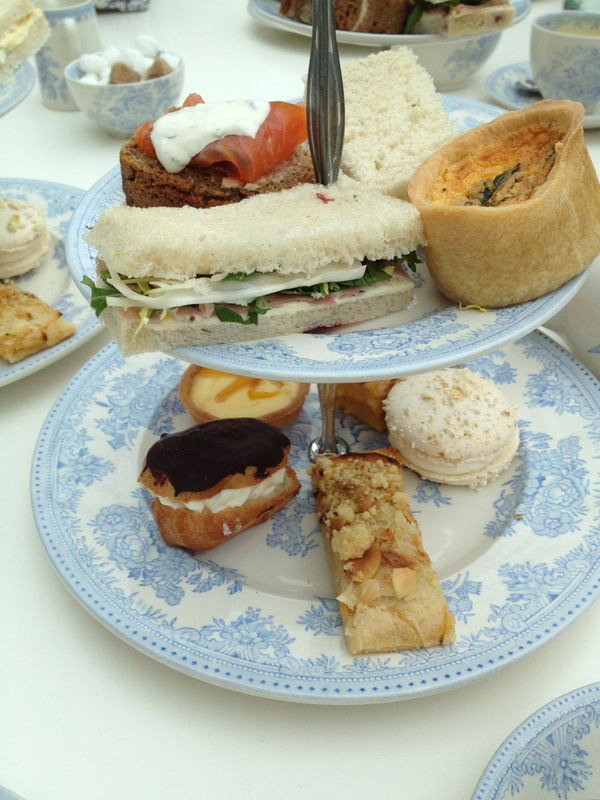 This included a pot of tea, and a two tiered tray of sandwiches and desserts. 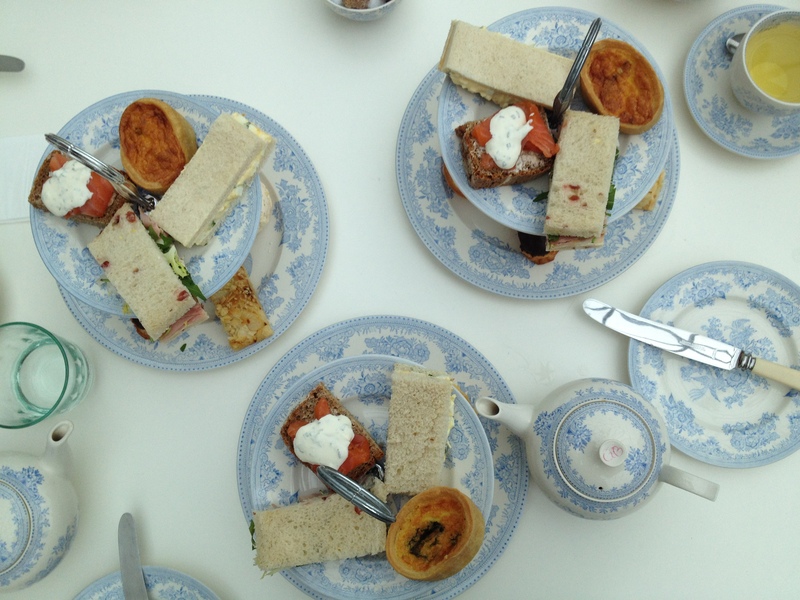 The sandwiches included honey & mustard ham on cranberry bread, egg & cress sandwich, spinach tart, Sevren & Wye smoked salmon on rye. 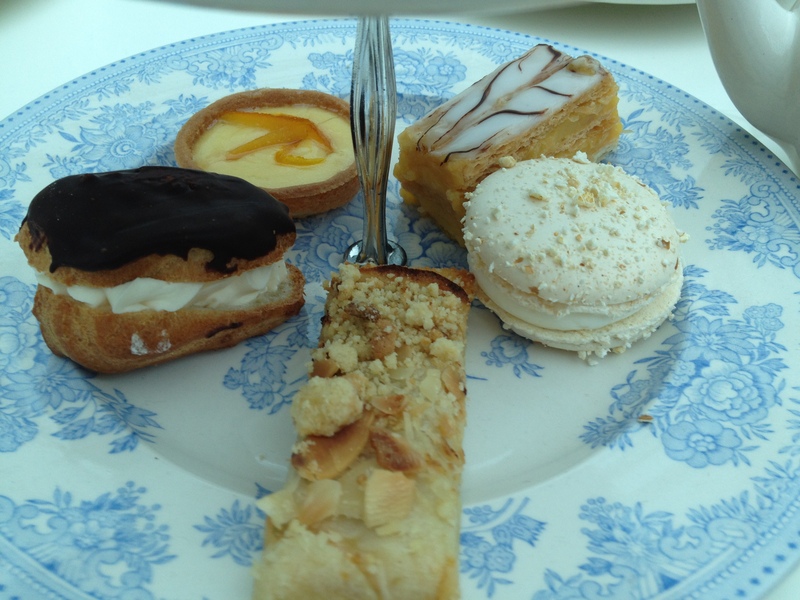 The desserts were a pop corn salted macaroon, vanilla eclair, apple tart, lemon tart and vanilla slice. 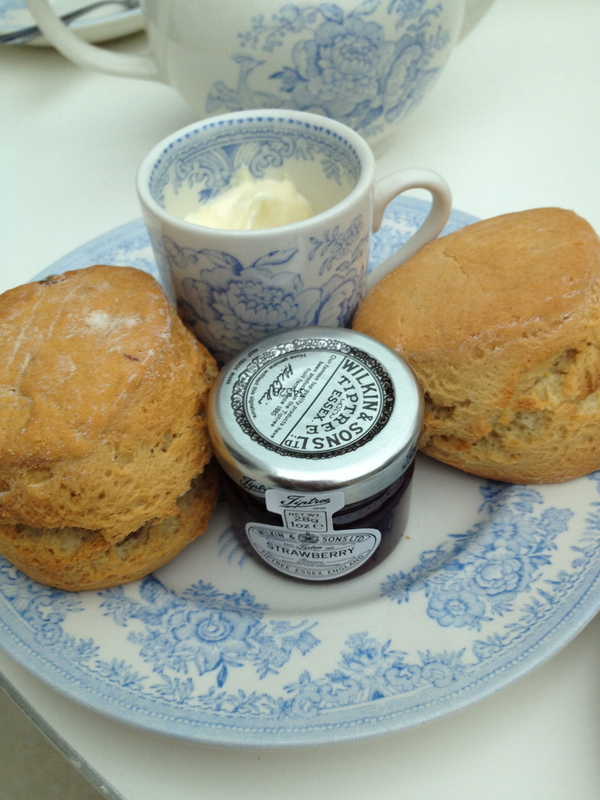 It also came with two scones with clotted cream and a tiny jar of strawberry jam. 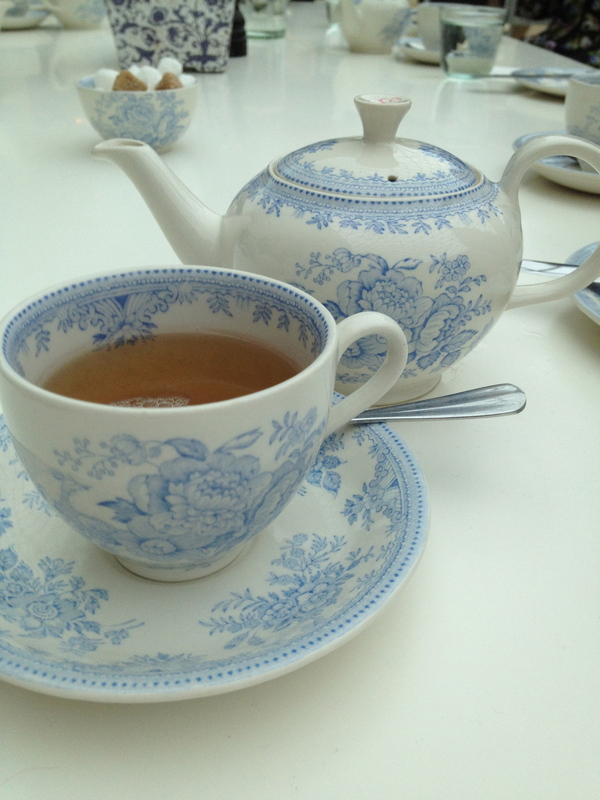 I had the Garden Berry tea, and it was quite good! 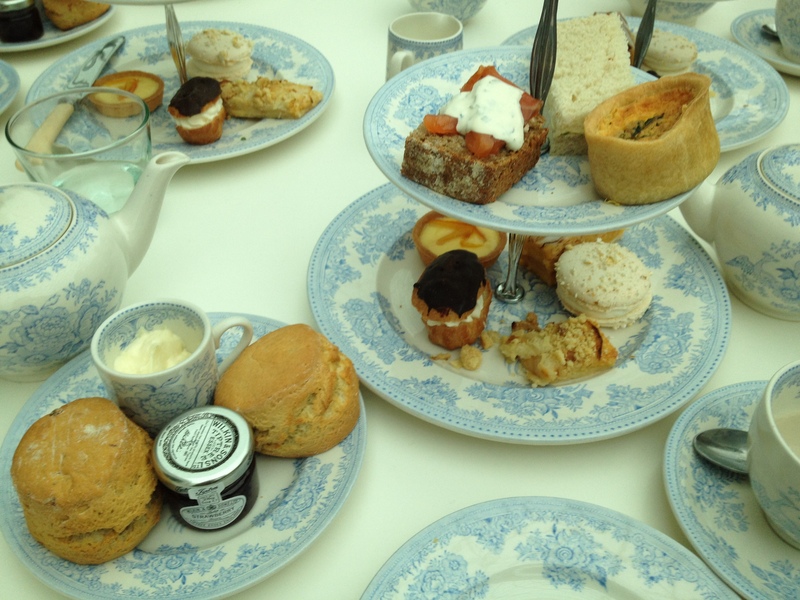 I was quite stuffed by the end, but I am very happy to have participated in a real British tea in an amazing location. 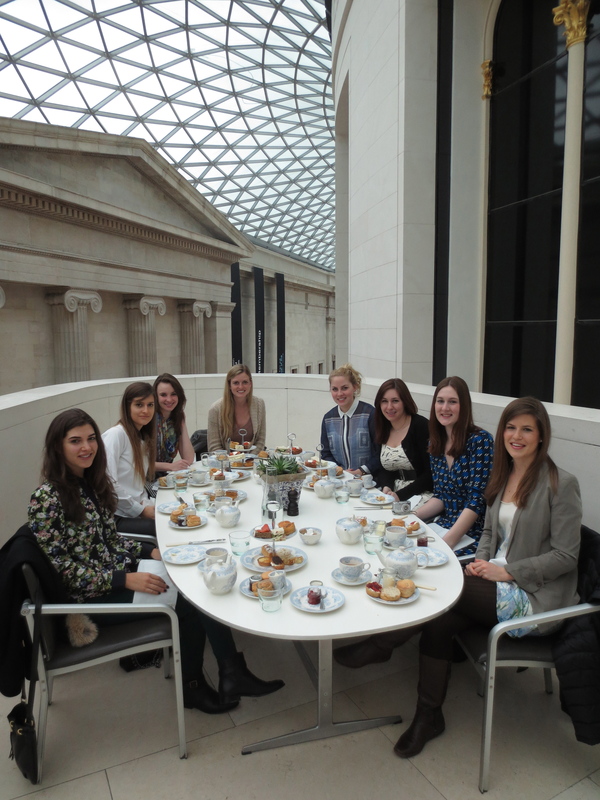 We even had a little section of the restaurant to ourselves that overlooked the inner court of the museum. 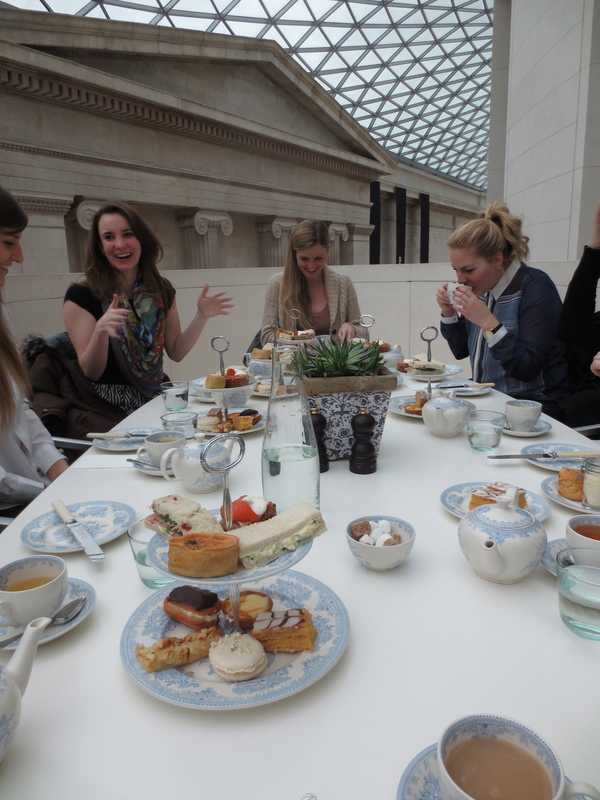 Great company, great tea and great location. What more could you ask for! 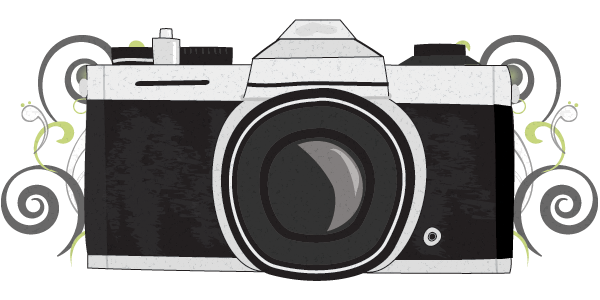 I’ve spent the evening catching up on emails and other work. I’m happy to have one more day for the weekend before it is back to school! The group in our beautiful setting! This looks amazing! Egg sally and salmon. Love.